Never touched a contouring palette in your life? Don’t know the difference between matte or dewy foundation? Want your makeup to look like the pros in the easiest and most effortless way possible? Or maybe you just need some tips to take your already bomb af makeup to the next level. Welcome to the latest series on the blog, Flawless Makeup 101. Providing you with all the tips, tricks, and hacks, plus all the must-know information to create flawless makeup looks over and over again. Makeup is fun, can help boost your confidence, and it can even be a creative outlet. Makeup is huge right now, and the idea that you can do whatever you want with it is absolutely amazing! But when you’re a beginner, it can all seem overwhelming. With all the looks, inspo, and information, sometimes you just don’t even know where to start! But don’t sweat. 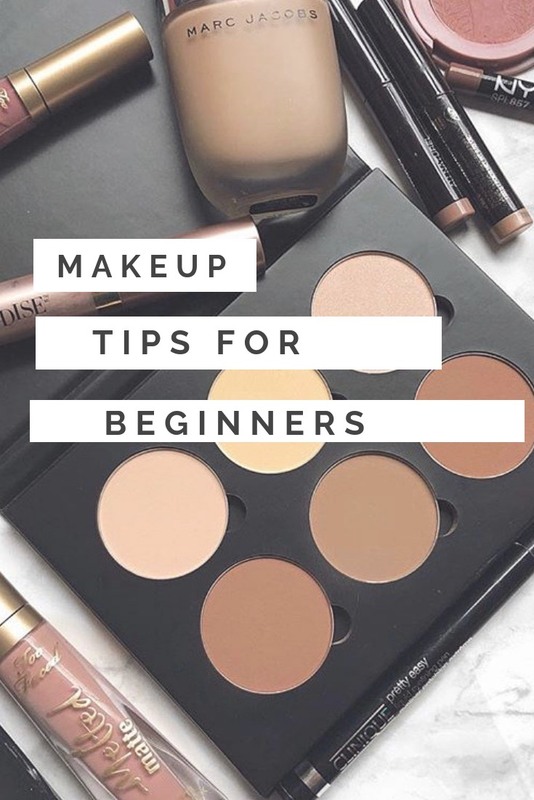 Whether you’re a beginner with no experience or you’re a long-time makeup wearer, here are a few essential tips for flawless makeup application, every single time! You need to start off with a good base, so make sure your skincare routine is up to par. You obviously don’t have to have perfect skin to achieve your desired makeup looks, we all have a little something like blemishes, breakouts, or an uneven skin tone, but you do want to take good care of your skin regardless. Plus just simply cleansing and moisturizing before applying makeup will make it stay so much longer! Make sure you’re removing all makeup at the end of the day, you’re cleansing, and you’re moisturizing! When your skin looks and feels good, not only will applying makeup feel that much easier, you’ll feel more confident too! 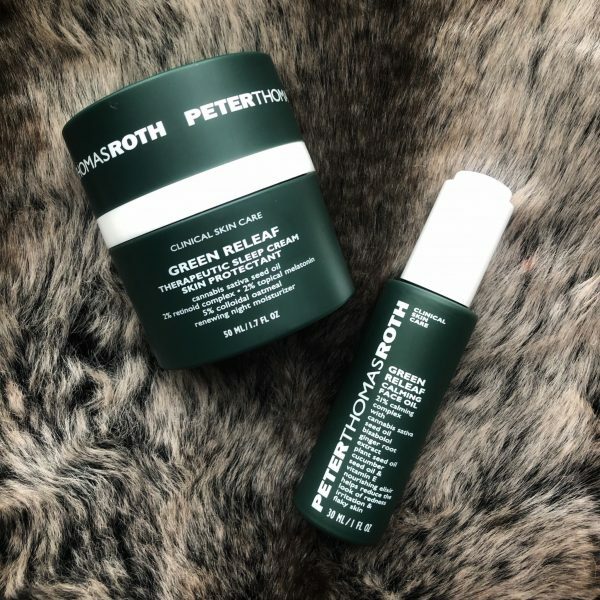 Looking for a good skincare routine? I got you covered with one for oily skin and one for dry skin too. Know your skin type, (dry, oily, combo, etc. ), and find out which products work for it. If you have super oily skin, you might want to skip out on an extra dewy foundation because it may move around too much. If you have dry skin, using matte products might make your skin feel too dry or tight. Or you may be able to get away with using anything! That’s for you to discover and learn, just don’t force yourself to use products that don’t work for you just because everyone else is using them! Which leads me to this next tip, learn techniques that work for you. When contouring and highlighting, do not just go in and contour where everyone else does. Everyone has different face shapes and different features they’d like to highlight or diminish. 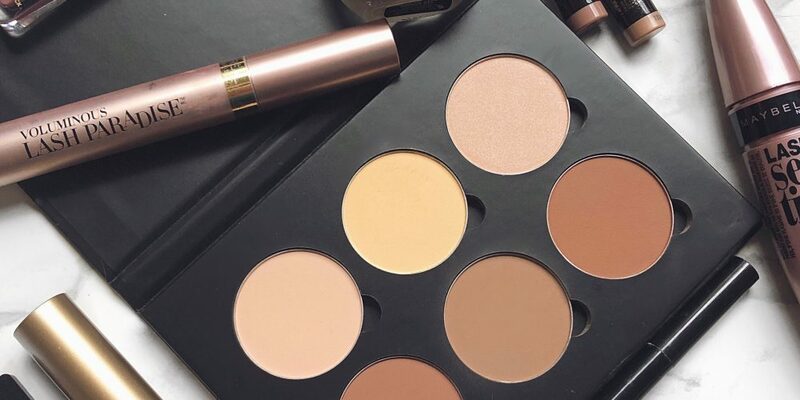 There are universal areas that everyone can highlight and contour, think highlighting and contouring your cheekbones, but there are also ways to individualize contour to fit you and your needs. Play around with your makeup, try out different techniques, and discover what works for you. 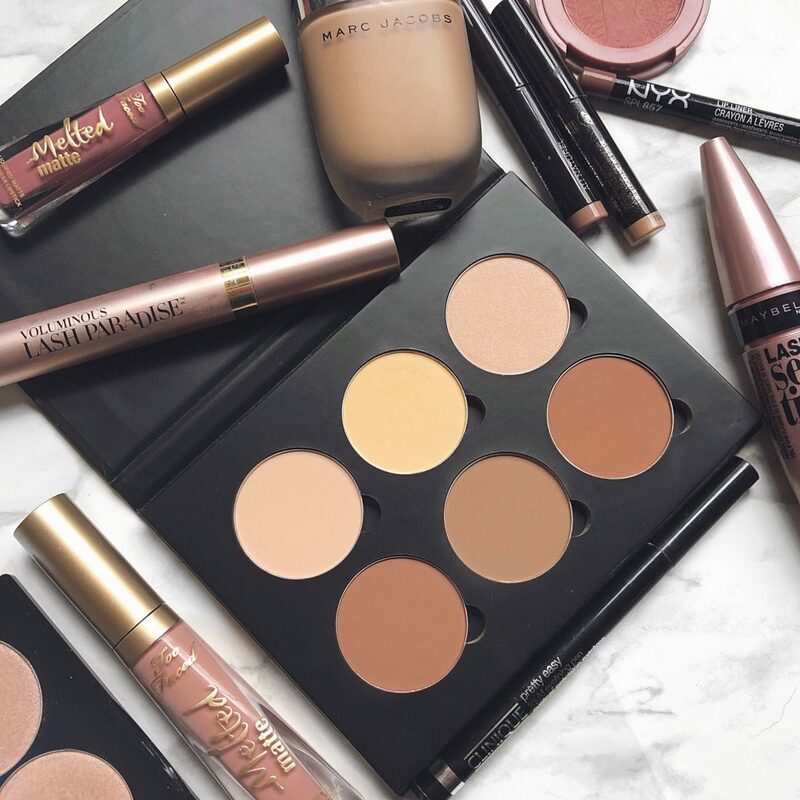 Your tools could be the make it or break it for creating stunning makeup looks. Whether you opt for brushes, or you want to use a blending sponge, make sure your tools are working for you. But please, whatever you do, don’t use your fingers to apply makeup! And don’t worry, good doesn’t have to mean expensive. WetnWild has two brush lines that are both affordable and amazing! The Pro Brush Line is slightly more expensive, but the brushes are gorgeous, and their Essential Brush Line is crazy affordable but delivers the same quality as higher end brushes do! Primer is your base layer, and those are important. It doesn’t matter what primer you use, we all have our preferences and favorites, just make sure you’re priming your face, eyes, and lips. Face primer helps foundation apply smoother and last longer and, depending on what type you use, could either mattify or add a pretty glow to your skin. It can also help smooth fine lines and wrinkles and make larger pores disappear. My long standing favorite primers are the Smashbox Photo Finish Primer and the Peter Thomas Roth Skin To Die For Primer. Eyelid primer essentially does the same thing as face primer, it helps keep your makeup on longer but it also helps prevent your eyeshadow from creasing. And don’t forget to prime your lips! You can do this by exfoliating with a lip scrub, my favorite is the Lip Exfoliator from e.l.f or you can diy your own using sugar, Vaseline, and olive oil. Then just moisturize with your favorite lip balm and your lips will be super smooth and ready for flawless lipstick application! The beauty world is divided by those who do their face makeup before their eye makeup and those who do their eye makeup before their face makeup. I prefer the latter, and here’s why. If you’re doing an eye makeup look that’s a little more daring than usual, or even if you’re still a little shaky when doing winged liner, you’re bound to mess up and it’s so much easier to fix your mistakes if you do your eyes before your face. You won’t have to worry about ruining your face makeup or having to take it all off before restarting. Pro Tip: when it’s time to apply your foundation, just use a small brush and take your time around your eyes and eyebrows, that way you don’t mess up all of your hard work. 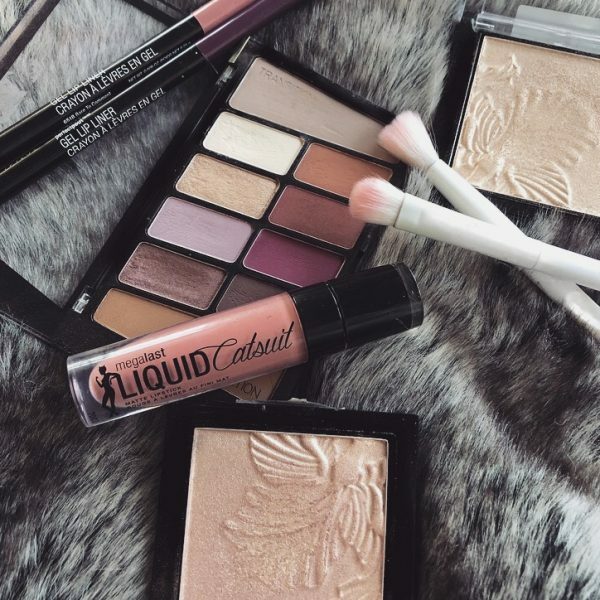 Whenever you’re doing an eye look, no matter how neutral or dramatic the look is going to be, always use both a base shade and a transition shade. A base shade is a neutral eyeshadow color, usually a shade that’s close to or is the color of your eyelids, that’s applied all over your eye space. It can be used as a primer, a neutralizer to cancel out any veins, discoloration, etc. Or it can be used to set an eyelid primer. A base shade pretty much sets up a blank canvas for you to create any eye look flawlessly. A transition shade is another neutral color, usually a little darker than your natural lid color. It’s used to make that lighter lid color, darker crease color, and lighter brow bone color all blend more naturally. If you’re worried about finding a good base or transition shade, don’t worry. Most eyeshadow palettes already come equipped with both base and transition shades, that also go well with the shades in the palette. Winged liner is hot af. It’s also totally hard to do, don’t let anyone fool you. Mastering winged liner takes lots of practice, and sometimes, a few little hacks. A good beginner’s tip is to use something to guide you. You can use tape, which may not be good for the delicate skin under and around your eyes, or you can use a card. They also make products for exactly the purpose of helping you do winged liner. Another really helpful tip is to always start with the actual wing and working your way into the lid, not starting on the lid. This allows you to get the hard part out of the way and then you can just fill in the rest! Always use a light hand! Whenever you’re applying foundation, blush, bronzer, highlight, etc., always start with a light hand. This helps make sure you don’t end up applying too much. Remember, it’s much easier to build a product up then it is to try and tone it down once too much is applied. No one, in the history of the entire world, has ever woken up naturally good at doing something. (Okay, maybe some people have, but it’s extremely rare!). The only way you’re going to get good at something is if you practice it. Keep working hard, take the challenges and failures with pride, and practice. You’ll be where you want to be in no time. Also makeup is art, and art is subjective. If you like the way you do things, even if they aren’t perfect or what everyone else is doing, and you think you look beautiful, well then you’ve already mastered achieving flawless makeup. Stay tuned for more Flawless Makeup 101 posts, coming soon! I just wanted to say thank you, I would go through different youtube videos trying to figure out how to do things but I never understood what I needed. I am only good at applying eyeliner and mascara. I will also check out your routine for dry skin! Aw thank you! You’ve totally got this, practice makes perfect! I have been wanting to try that Melted lip gloss because it looks so pretty and I love all the colors. Thanks for these great tips, I definitely need to work on my winged liner because I love the look on others! Winged liner takes a little practice, but once you’ve got it, it’s easy! these are really great tips for beginners! Makeup totally is an entire learning process! I used to give myself raccoon eyes every day in high school, so glad those days are behind me! omg ali, I have to say that I absolutely love the look of your blog! It looks so beautiful and sleek! I love the color…honestly I love everything about it! The one thing I will recommend is that you get the SSL protection for your website! It’s free and is usually offered by your hosting site! Ah gonna get right on that! Thank you so much! What a helpful post covering the basics! This was a fun read! I’m not exactly a makeup beginner-I used to be unable to leave the house without a full face. Since I had my son I’ve really let this slide from my morning routine though. I really need to add back in the good skin care routine! I used to never leave the house without a full face too, but I notice I opt for a much more natural look throughout the week now. As far as skincare goes, it takes a little while to get into the habit of a routine, but it’s so worth it! This post is awesome! I’ve been looking to step up my makeup application game and honestly had no where to start! Thanks for all the great tips girl! Ah thank you so much! I can’t wait to see all the beautiful looks you create!